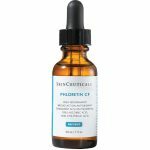 Skinceuticals Phloretin CF is an advanced formula that works hard to defend your skin against free radicals and other reactive molecules that cause damage, stimulating collagen synthesis and cellular renewal. It’s lasting formula is also effective for at least 72 hours per application; $155, Skinceuticals.com. Sometimes even your face needs to hit the reset button. Stress and environmental damage can leave it looking dull and lackluster. 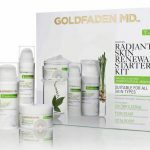 The Goldfaden Radiant Renewal Start Kit provides an at-home solution to help brighten things up, exfoliating, detoxifying and hydrating your skin for a healthier, more radiant glow; $75, GoldfadenMD.com. Unless you’re an acne-prone teen, oil is not your enemy when it comes to skincare. 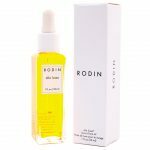 Rodin Luxury Face Oil is a luxurious blend of 11 essential botanical oils that provide a hefty dose of nutritious hydration to worn or weathered skin. And don’t worry about an oily feel or shine — this product absorbs beautifully; $150, OlioLusso.com. Our daily lives are filled with so many responsibilities, obligations and commitments as individuals, parents and spouses, that we get faced with pressures from all sides without realizing it. Sooner or later, stress catches up with us. Fortunate are those who realize that they are stressed and can resolve the situations that arise and prevent them from getting worse. 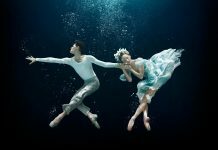 The majority of people can’t identify or resolve stressful situations and allow them to build up until they progressively deteriorate their ability to function. 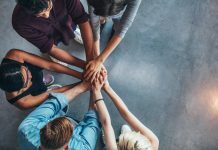 Frequent causes of stress include marital discord, pregnancy, family changes, a new job, moving, remodeling, changing financial status and the loss of a loved one. Some individuals are more prone to stress because they do not know how to cope with sudden change, or do not know how to set priorities; they rush into making decisions without all the information needed, therefore, the decision is incorrect leading to more stress. 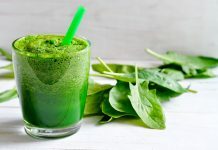 As stress builds up, it can create or aggravate health problems such as depression, ulcers, phobias, high blood pressure, sleeping disorders, tension, headaches and anxiety. Speaking to a therapist about your worries, concerns or doubts is extremely important. Don’t wait for the stress to affect your personal life. Find the time to eat well, rest, and get regular exercise. Planning your day ahead, keeping a journal, and making time to relax and do the activities you enjoy can also help to keep stress in check. 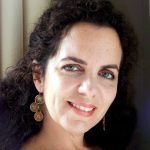 Lisette Beraja is a Psychotherapist, Licensed Marriage & Family Therapist & Founder of Beraja Counseling Center. She’s also a Florida Supreme Court Family Mediator and an 11th Judicial Court approved Parenting Coordinator. To set up an appointment, call 305.858.7763 or visit BerajaCounseling.com.